Last year we spent two months in Nepal and India working with a number of communities, schools and training social work professionals. Our work was supported by the generosity of many people who contributed to our campaign MAKE DO TELL. We are always seeking support to continue these projects. If you can contribute please go here. ZUNU and SAPANA : these girls live at the Unatti Home in Bhaktapur,Nepal and participated in our MAKE DO TELL project earlier this year. Both these girls were enthusiastic and talented members of the art and drama program. In this video the girls are discussing learning skills in slapstick and mime. Alex taught them how to develop large characters and scenes using slapstick – and having fun pretending to slap each other, pull hair and ears and stamp on feet. For these beautifully mannered girls, slapstick goes totally against their normal character and behaviour – which is why it is such fun for them to play with and explore. Zunu is referring to a number of arts projects through which we explored observational drawing or developing the imagination. 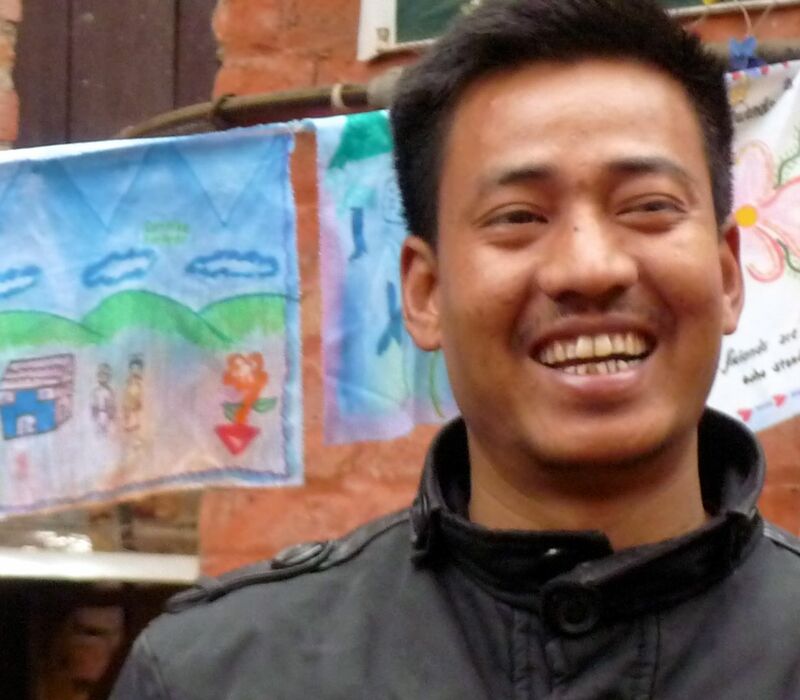 RAMESH PRADANGA, Director of the Unatti Foundation, Nepal and Children’s Art Village Nepal. We work very closely with Ramesh to run our art and drama projects in collaboration with these two foundations in Bhaktapur Nepal. He facilitates the education of many many children who otherwise would have no or little access to education. His dedication to the foundations has resulted in so many young people being given an opportunity to thrive, to live a happy life, to feel safe, and to be exposed to experiences and people that open children’s eyes to possibility and opportunity. He sees the value of the arts to developing the brain, as well as to encouraging children to work co-operatively together and to develop skills. He shares some of his observations in this video. We are very grateful to Ramesh for his support of our projects and for his on-going openheartedness and care of us when we are in Nepal. SANISHA and ROSHANI : both these girls were enthusiastic and talented members of the art and drama program. In this video they are referring to a clay project where I showed them the wonderful work of Anthony Gormley, The Field, the 10,000s of small statues that were made in community projects and also to the drawing and painting projects where they learned skills in watercolour wash, light and shade and observational drawing of the body. In drama, they enjoyed working with their whole community on some of the well-known fairy stories which they all absolutely LOVE. 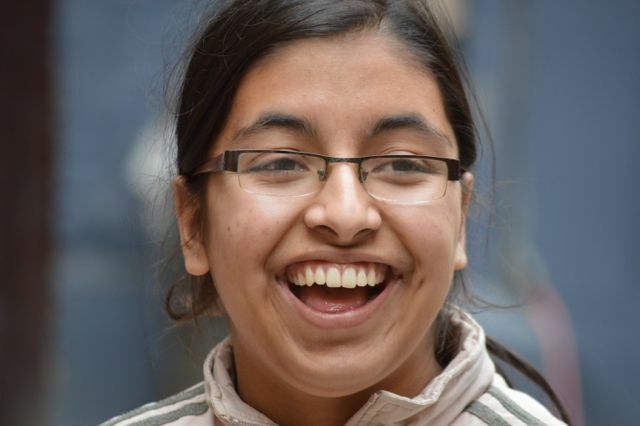 SANGITA : is the oldest girl at the Unatti Girls Home in Nepal. She is studying nursing so was only able to join in some of our program – but she loved it when she did. I enjoyed many conversations with Sangita, especially about psychology and art – and can see she has the making of a compassionate nurse with creative attributes! 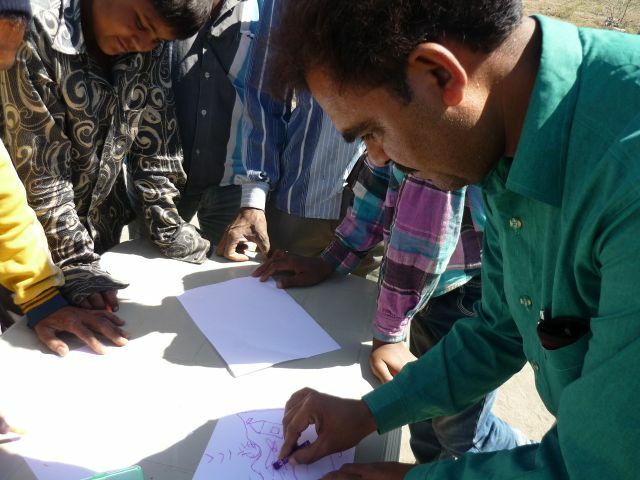 TARIQ : is a teacher at the local high school near where we were staying in Zainabad, India. He volunteered to help us with our project with the Salt Pan communities. His kindness and attentiveness to students and us is awe-inspiring. CHILDREN from the SALTPANS are very shy, nonetheless they share a few comments about the art program with us; Tariq is translating and helping them.